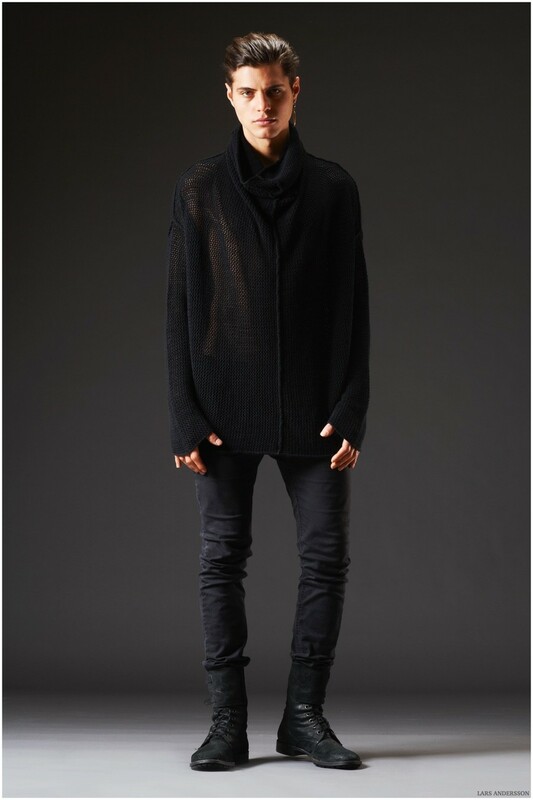 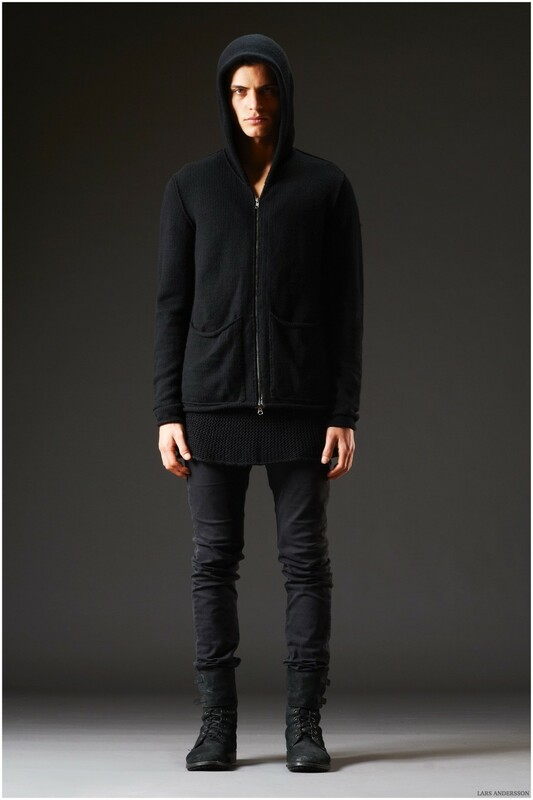 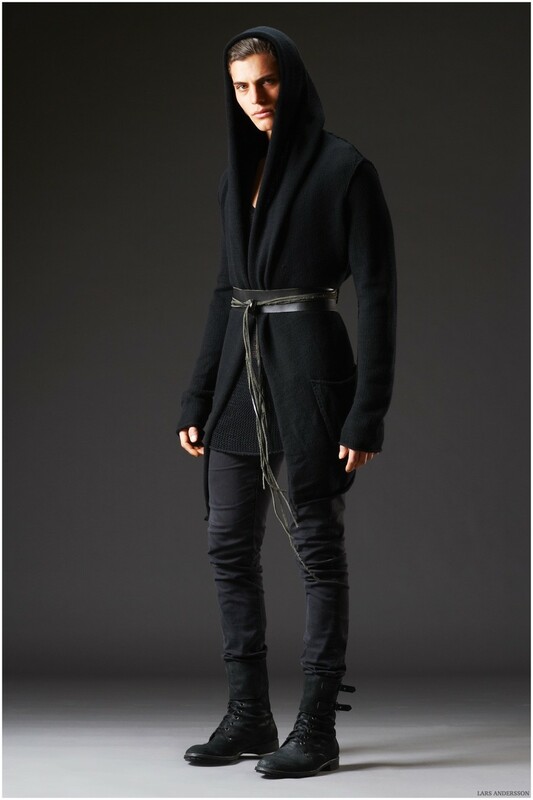 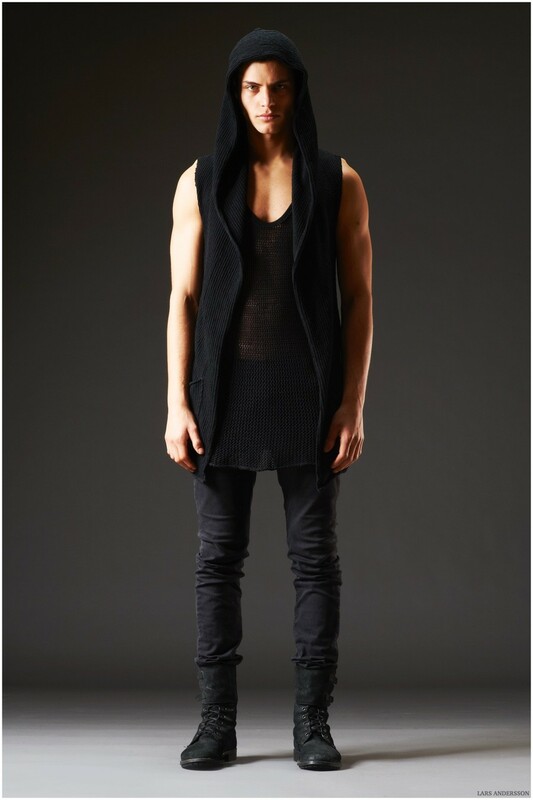 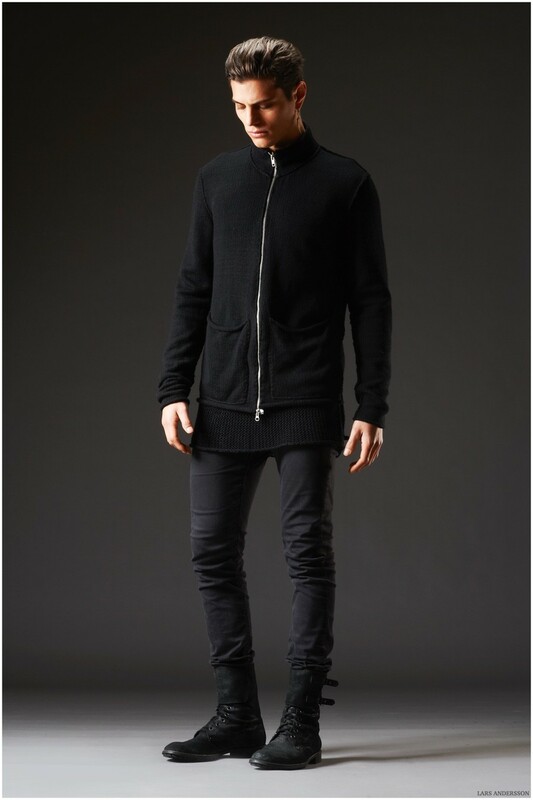 New York-based knitwear designer Lars Andersson embraces a black color palette for his fall-winter 2015 collection. 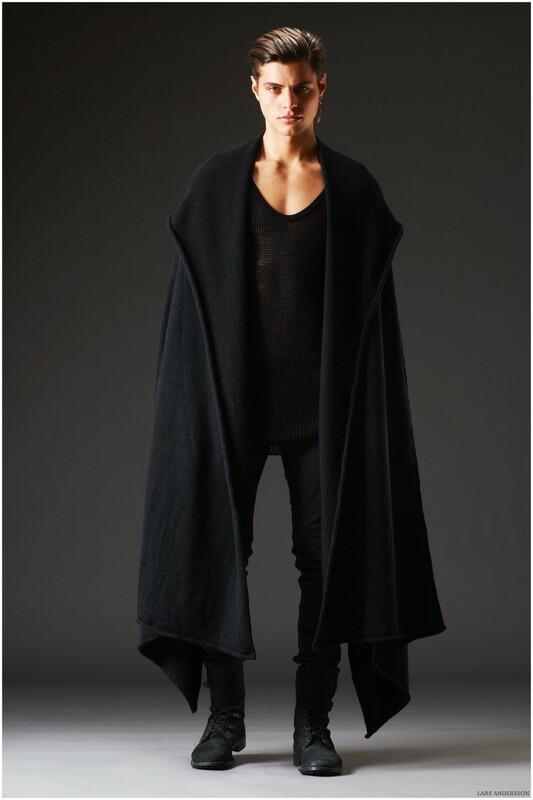 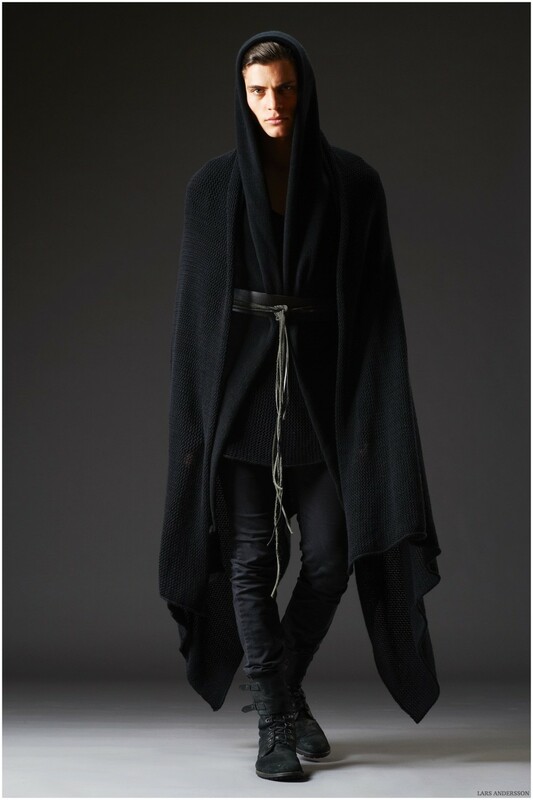 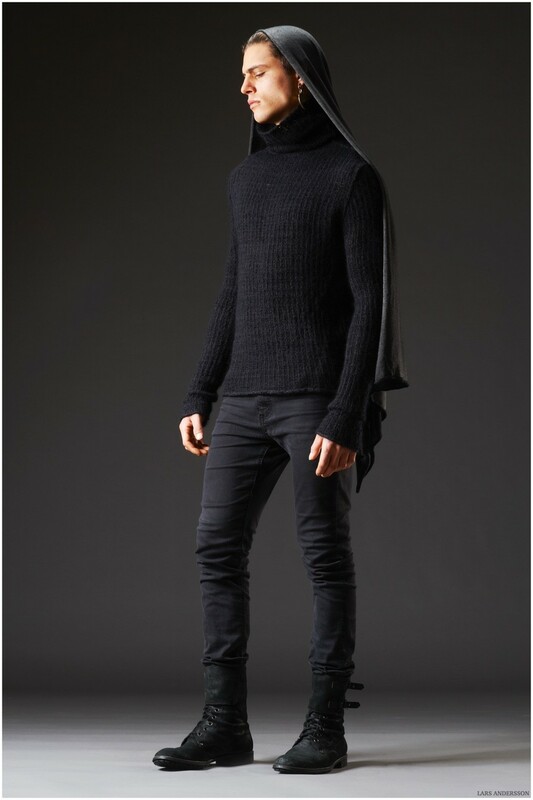 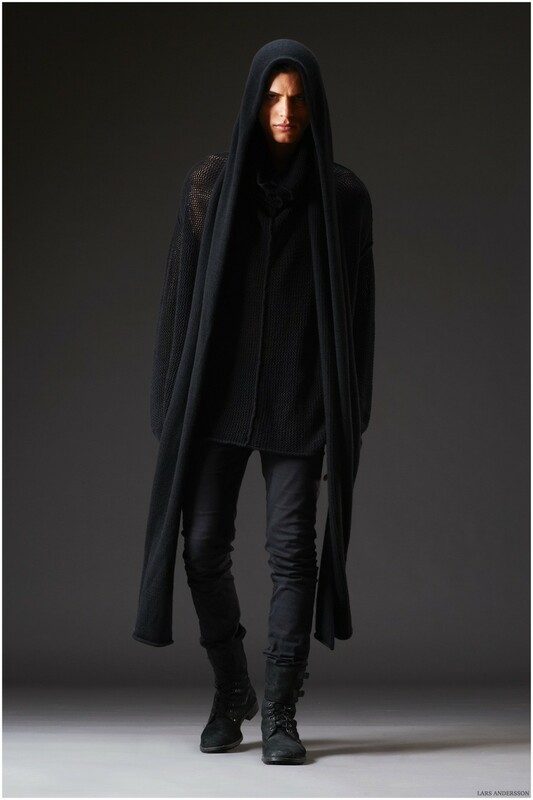 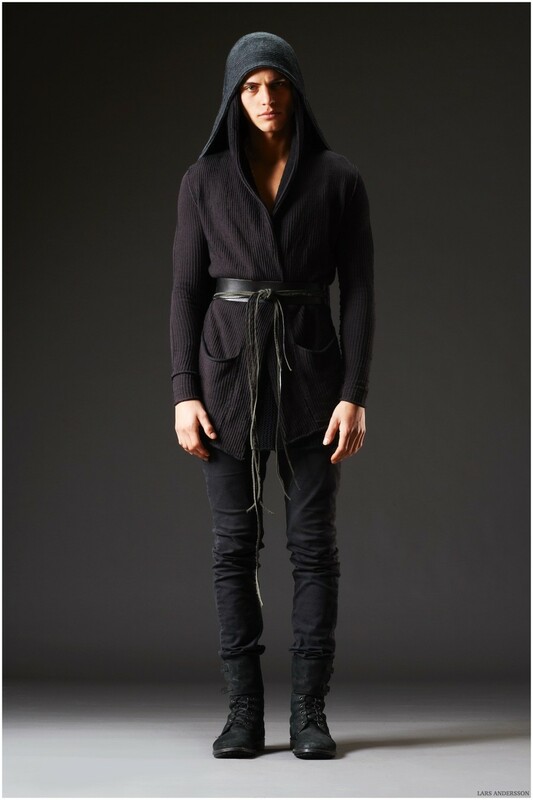 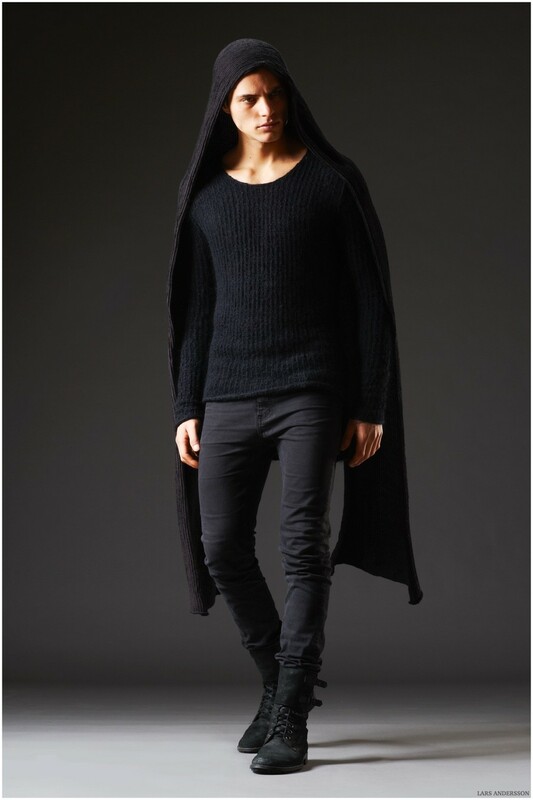 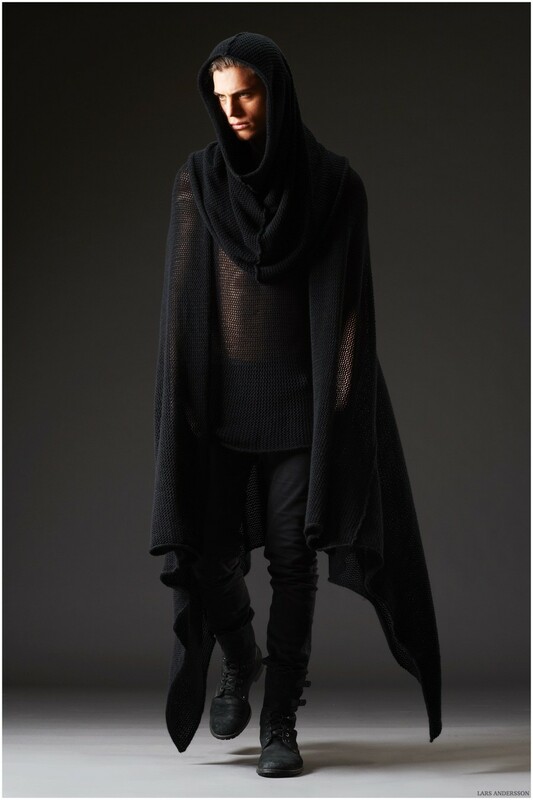 Slim lines are contrasted against oversized knits with dramatic hoods and scarf attachments. 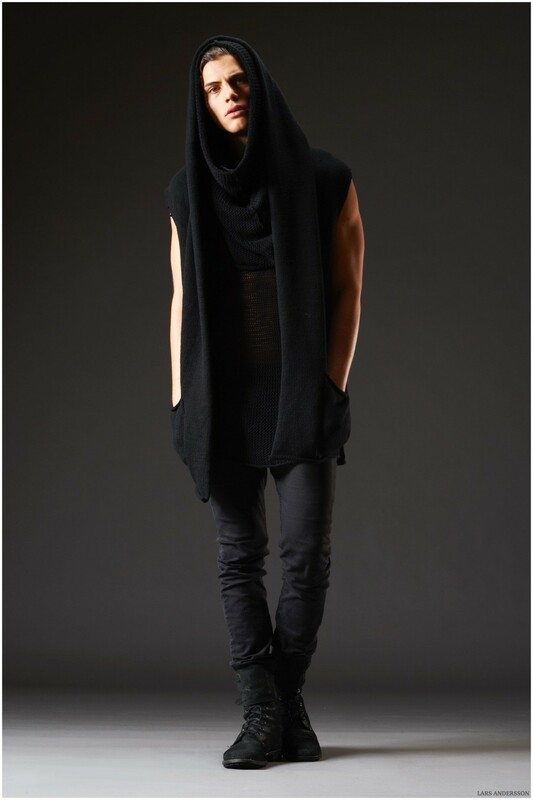 In the varied mix are sleeveless tops, crewneck sweaters, zippered jackets and more for a functional, contemporary fall outing.